Fencing can cause all sorts of problems for wildlife. 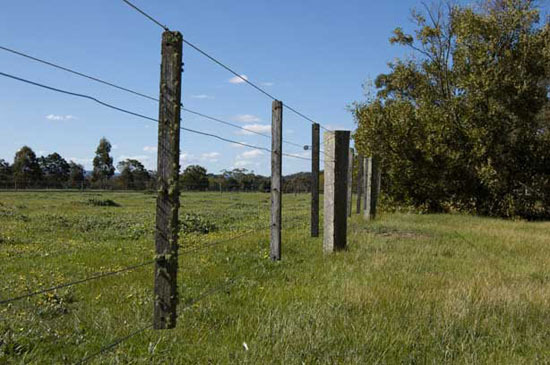 Gliding possums,bats and birds (particularly nocturnal birds like owls) get caught in barbed wire. Echidnas get electrocuted when they try to climb under an electric fence, while koalas can get caught when trying to climb a fence. 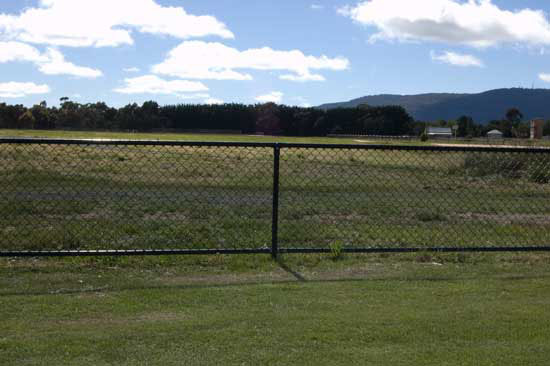 However, without a doubt, kangaroos are the most common victims of fencing in the Macedon Ranges. 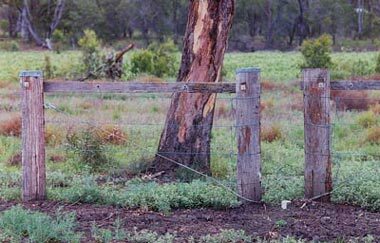 Kangaroo 'fencehanging' occurs when a kangaroo attempts to jump a fence but misses the top. Instead its leg(s), pass between the top wire and the next one down. The body then flies forward over the top and as it falls towards the ground, the legs act like a stick in the wires, pulling the second wire over the top wire and trapping the leg(s) tight and acting like a tourniquet. 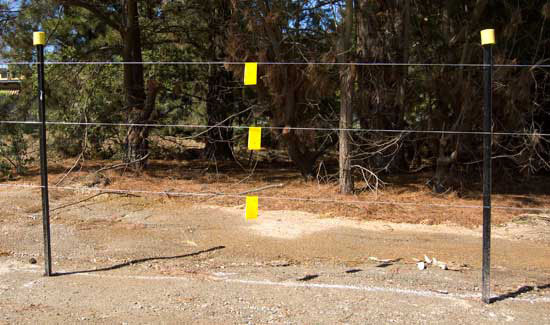 If the fence is high or the roo is small the body may be suspended off the ground; if the roo is bigger or the fence is lower, the body may be partially on the ground. Either way the result is the same - no hope of escape without assistance. The animal dies slowly of capture myopathy (fear response) or dehydration, or is eaten alive by predators. 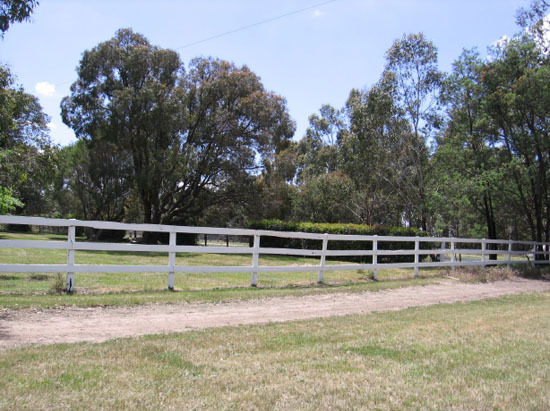 7) If you require more substantial fencing than strand fencing do not use open profile wires like deer wire and ringlock. These are the types of wire that a roo's leg can easily get entrapped in as described above. 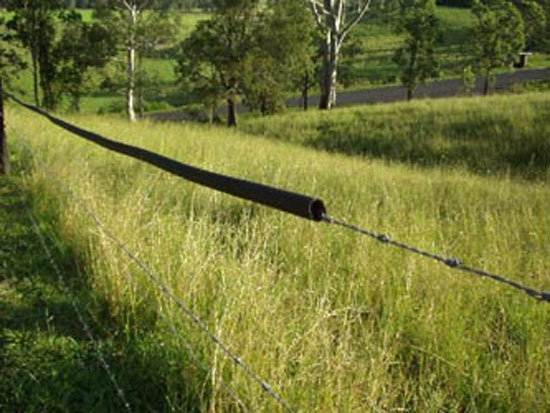 Instead use chicken wire or cyclone wire as the hole profile is too small for the leg of a roo to go through. Mark top of fence with white tape, and DO NOT add strand wire to top of fence. MRWN would like to thank www.wildlifefriendlyfencing.com for some of the photos and ideas on this page. 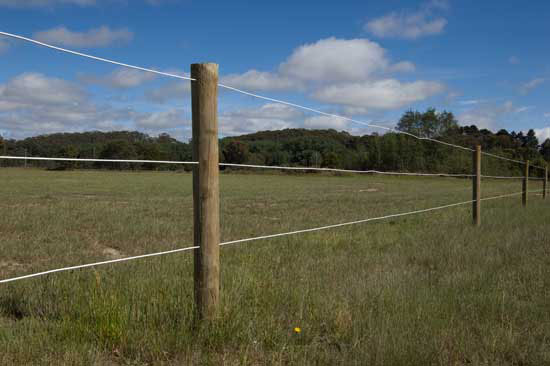 Fencing poses many dangers to wildlife in the Macedon Ranges. 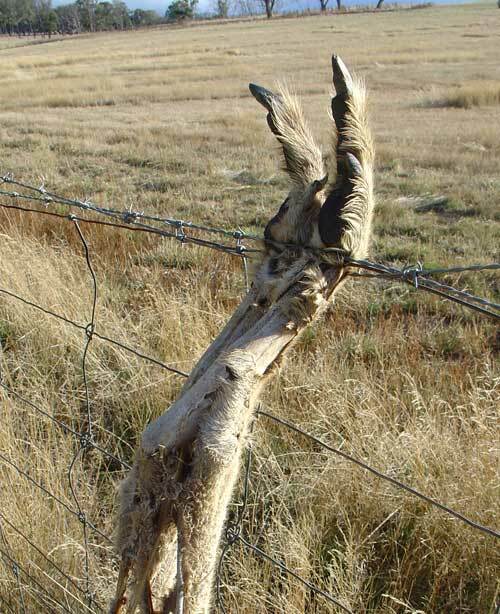 Kangaroo 'fencehanging' as pictured above is horrific. Sadly it is extremely common in our region, being the second most frequent callout that MRWN rescuers receive.